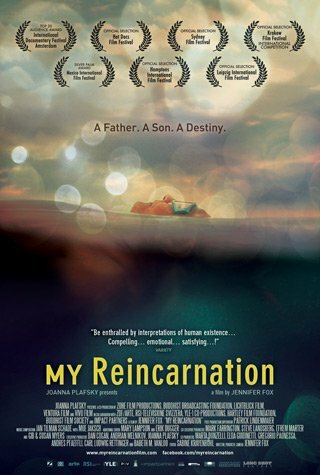 Filmed over twenty years by acclaimed documentarian Jennifer Fox (FLYING: CONFESSIONS OF A FREE WOMAN), MY REINCARNATION chronicles the epic story of the high Tibetan Buddhist Master, Chögyal Namkhai Norbu, and his western-born son, Yeshi. The film follows Namkhai Norbu’s rise to greatness as a Buddhist teacher in the West, while his son, Yeshi, recognized at birth as the reincarnation of a famous spiritual master, breaks away from his father’s tradition to embrace the modern world. Can the father convince his son to keep the family’s threatened spiritual legacy alive? Never before has a high Tibetan Master allowed such complete access to his private life and it is doubtful that another ever will. With her signature intimate entry to both family and icons including the Dalai Lama, Fox expertly distills a decades-long drama into a universal story about love, transformation, and destiny.